I am excited to announce my second book! "Tahoe" is a collection of some of my best Tahoe area photography. It is about 150 pages filled with beautiful images of Lake Tahoe, historic Truckee, and the surrounding lakes, meadows, forests, and more. A full preview of the book is available below. Click the full screen icon for the best viewing experience. The book's price is $154.95. It is an 11"x13" image wrap hardcover book with images that are printed on a lustre finish premium paper. If you would like to order the book, please click the shopping cart icon in the preview below or click here: Tahoe book. Also, all of the images in the book are available to order as large fine art prints, printed by me personally. They can be ordered through my website ScottShotsPhoto.com, from Art Obsessions in Downtown Truckee or from the Vista Gallery in Kings Beach. Please feel free to contact me with any questions about the book at info@scottshotsphoto.com. Thank you! 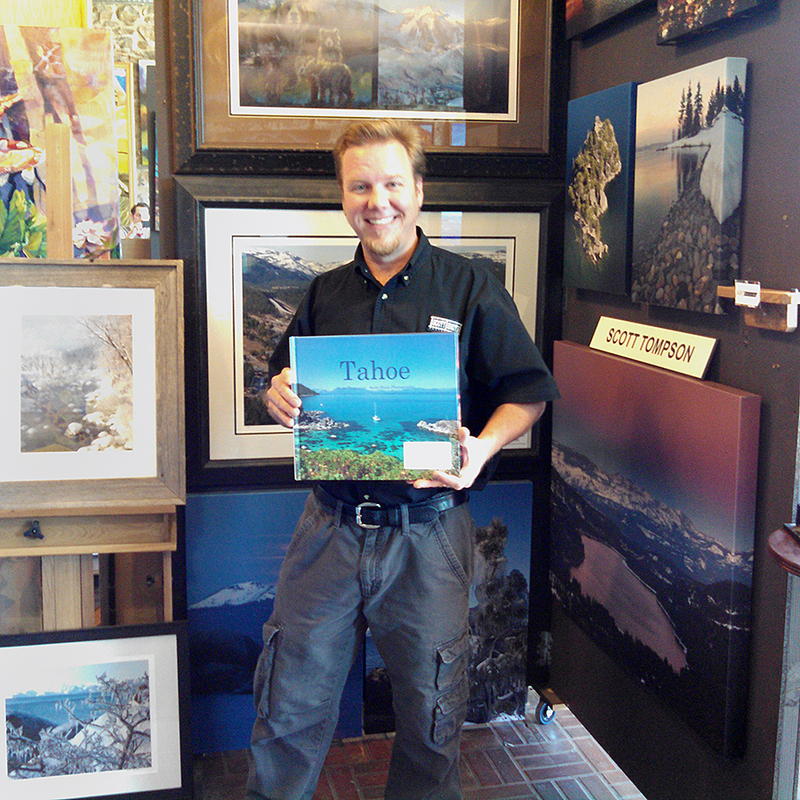 Scott Thompson with his new book "Tahoe"